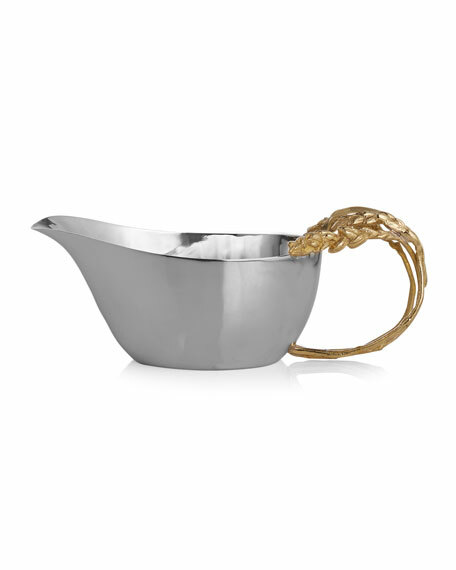 Gravy boat made of stainless steel and natural brass. 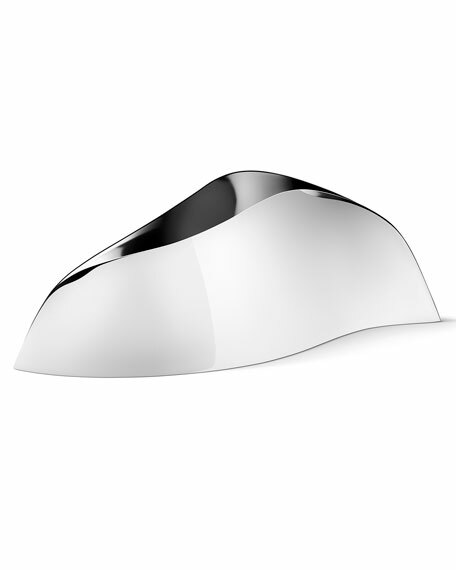 8.5"L x 4"W x 3"T; holds 15 ounces. Stainless steel etagere. 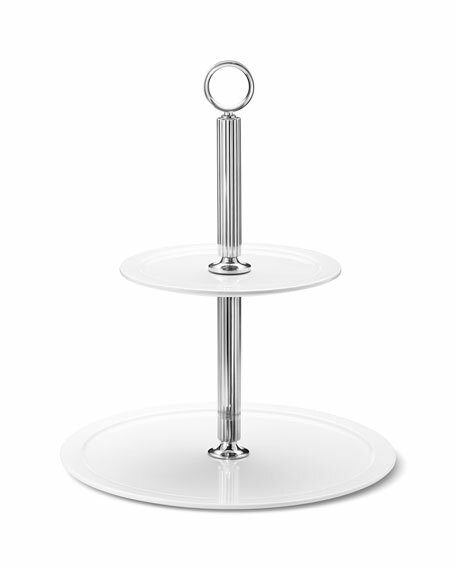 Two porcelain tiers. 8.2"Dia. x 11.3"T. Imported. 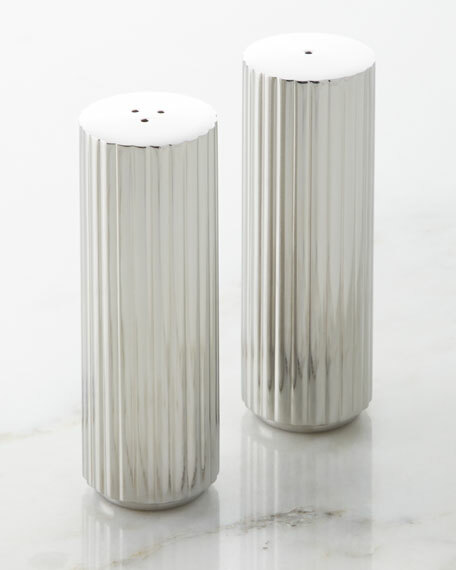 Stainless steel salt and pepper shakers. Each: 1.2"Dia. x 3.4"T. Imported. Stainless steel beverage cooler.Approximately 23.75"L x 9"W x 8.66"T.Holds three 0.75 L bottles.Mirror-polished finish.Imported. 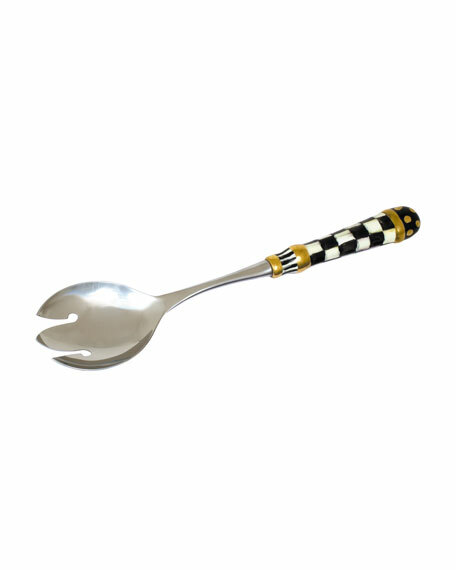 Casserole fork has stainless steel implement and porcelain handle.12.25"L.Hand wash.Imported.